Let's go shopping! 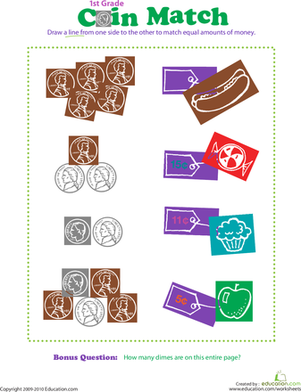 In this math worksheet, your child will add up the value of each group of coins, then draw lines from the coins to the items that cost the same amount. 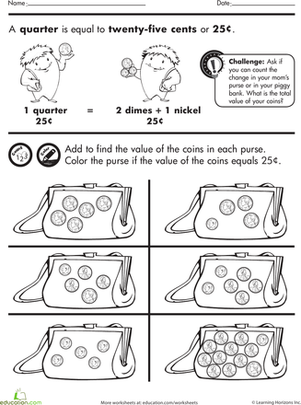 In this first grade worksheet, your child will match each group of coins to an item with a price tag of equal value. Can your child identify the amount of a coin at a glance? 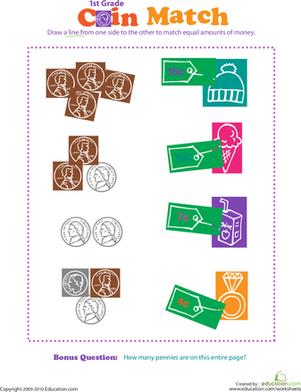 Test his knowledge with a fun coin activity.